Do you remember the last time that you hired a carpet cleaning service? It’s likely that you probably haven’t called upon a carpet cleaning company London for at least a year, if at all! If this is the case, then you’re probably unaware that carpet experts recommend regular carpet cleaning and that it should be performed by professional carpet cleaners at least twice a year, every six months of so. However, the amount of times that you should hire carpet cleaners London really depends on the living arrangements. 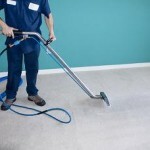 If there are two people living in a house and both of them are non-smokers, then carpet cleaning services should be done once or twice a year. If more then three people live together in the same home and one or two of them happen to be a smoker then experts recommend carpet cleaning at least once every three months. These recommendations are based on the air quality of the houses. Carpets are prone to all kinds of allergens that circulate through the air or get dragged in by the occupants. These allergens can cause serious health issues when at high levels. People that are most vulnerable are asthma sufferers, pregnant women, young children and the elderly. Therefore it is important to hire a carpet cleaner on a regular basis and to vacuum once or twice a week for good measure. To arrange for professional cleaners in London to come and do the carpet cleaning for you only takes a single phone call. When the carpet cleaning service is completed you can rest assured that you and your family are living in a clean and healthy home.